Christmas has well and truly begun in the Knight household. The children are preparing for their school performances - which means they are randomly blurting out carols - the elves are back on our shelves, and I'm planning 'all the surprises'. In fact, my favourite thing about this time of year is being able to give surprises, so when invited to take part in the Scheepjes blog hop for the second year running, I wanted to make a little character with a surprise of his own - he can hide a gift and a message under his hat! 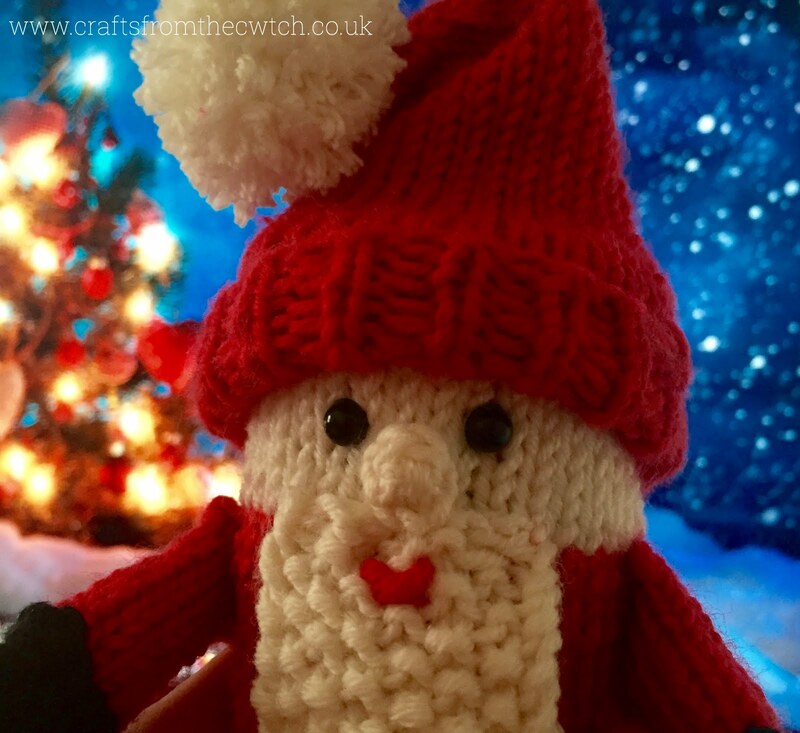 If you know someone who'd like to find one of these little chaps on their shelf or tree, read on - I've included the full pattern below. 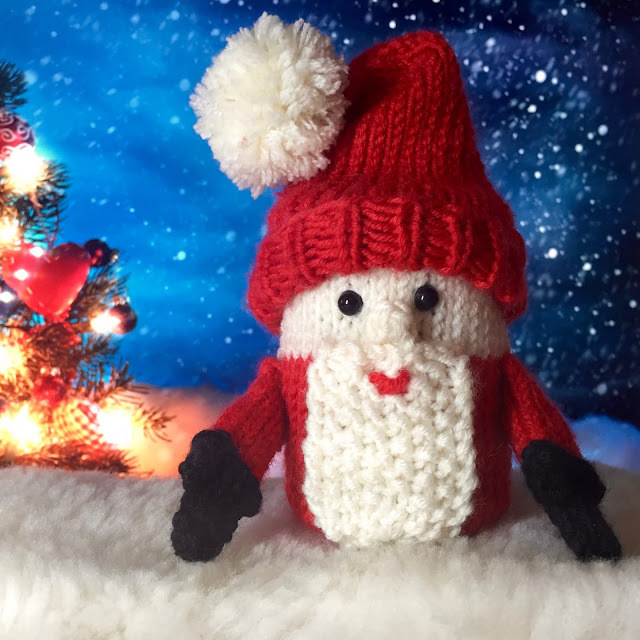 NOTE: This was originally planned to be an elf, but with two here already I decided on a little Santa - if you would prefer to make an elf, simply change the colours and omit the beard. 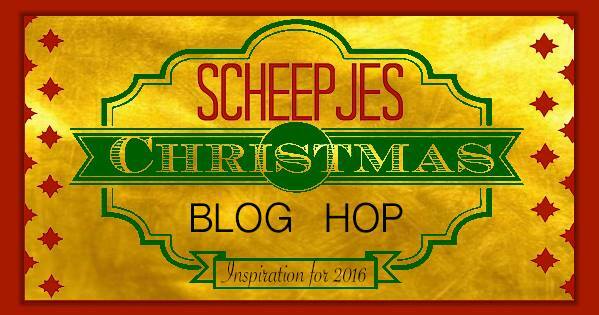 This post is a part of the Scheepjes Christmas Blog hop. Yarn supplied by Scheepjes*. Pattern is my own. *K4, kfb; rep from * to end of round (36 sts). The work should now fit comfortably around the tube. Bind off and sew in ends closing the thumb hole - if you stitch the end of thumb to the rest of the hand, he can hold small things! Sew the beard in place - along the line where the colours change. Pop the cardboard tube inside the body to decide on arm placement, then remove the tube to sew the arms on. 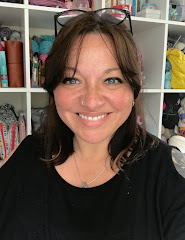 Place the cardboard tube inside the body and, using the long tail (left at bind off), loosely sew around the top of the work, to form a slight 'drawstring', this will hold the knitting in place. Decide on eye placement, and make two holes through the cardboard to keep them in place, then insert the eyes and secure the backs. Put the hat on - it will stand up straight, but I like it at a jaunty angle! Finally, the centre of the base is purposely bulbous and you may be wondering why - it's actually to allow for a good 'standing' surface. Invert it slightly with your finger, and he will stand up well on any flat surface. I hope you have fun knitting your "Secret Message Santa". 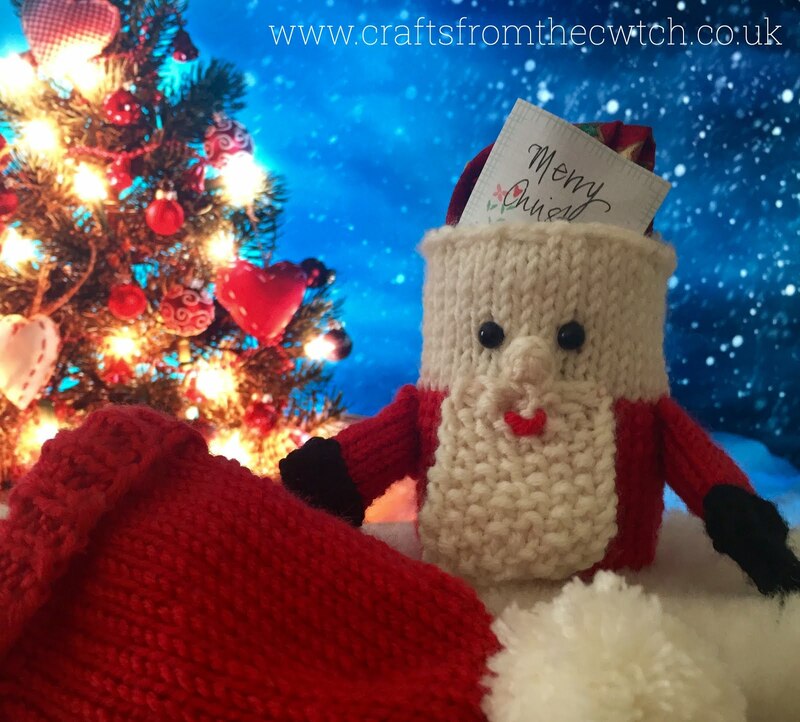 If so please post a picture on social media and tag #ScheepjesChristmasBlogHop so I can find it - there is also a Ravelry page which you can link to. 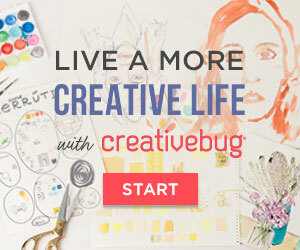 If you missed yesterday's post from Annelies Baes, you can find it here. Tomorrow there'll be another free festive pattern from Miss Neriss - hope to see you there! *In the UK, you can find Scheepjes yarns at Wool Warehouse and Deramores (affiliate links). Find a full list of international stockists on the Scheepjes website.